Last year Chichi Curacao received a very special request for one of our Custom Made Chichi all the way from Holland. 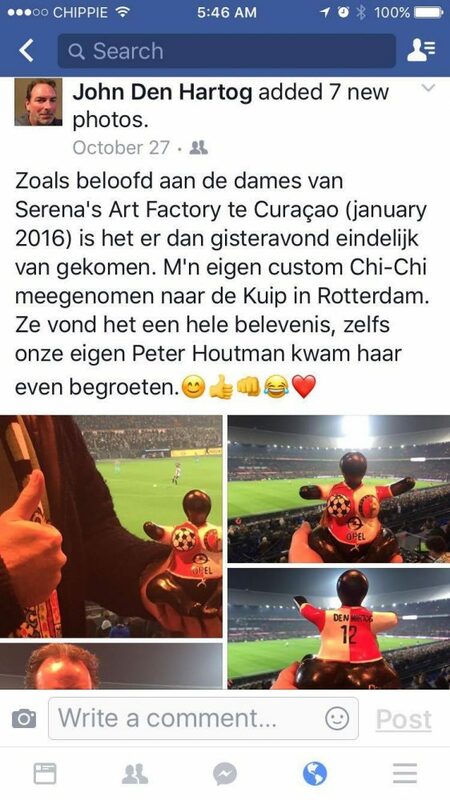 This Customer wanted Chichi to be wearing THE OFFICIAL FEYENOORD SOCCER TEAM uniform. WOW!!! We sure were exited to receive such a wonderful assignment. After short deliberation it was decided that Indra would be the one who got to paint this Chichi. 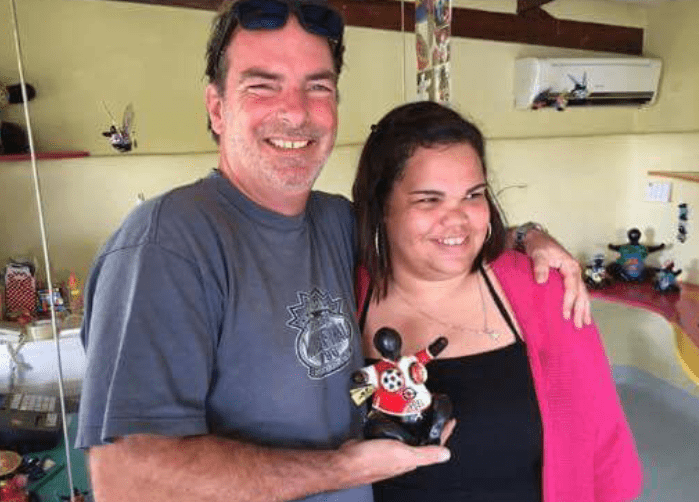 At the moment the Chichi was picked up, Mr. Den Hartog was so in love with her that he made a very special promise. 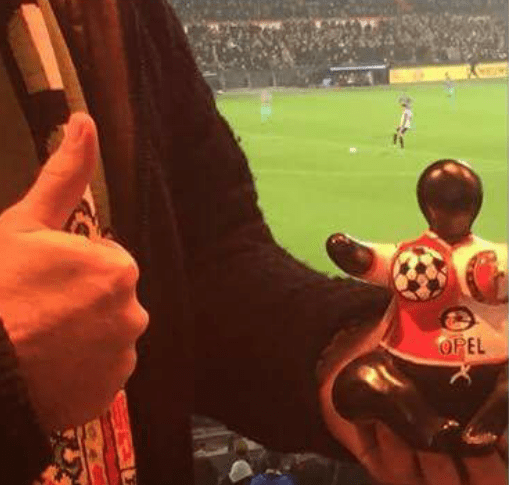 He promised that he would take Chichi to see a Feyenoord match en he would take pictures for us. And so he did! He posted his pictures on Facebook for us to see. 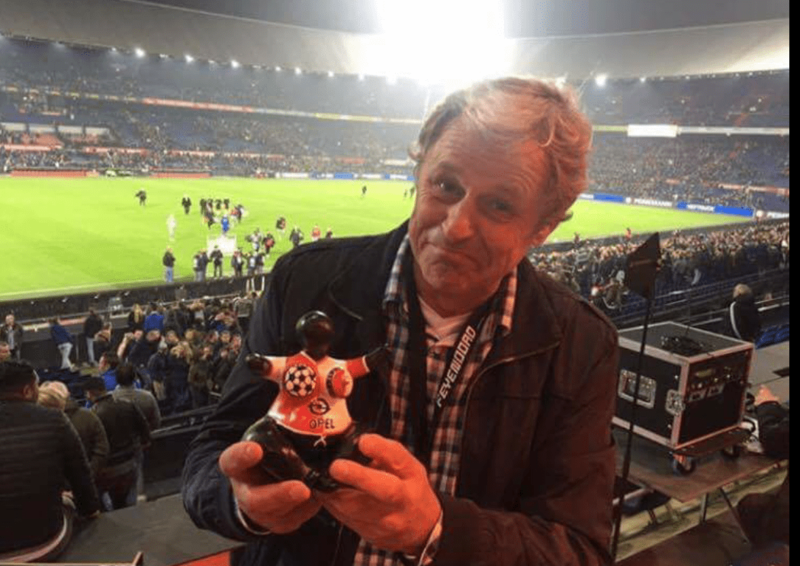 A tiny Surprise… Peter Houtman, former Feyenoord striker, also posed for a picture with Chichi!!! #proudmoment!